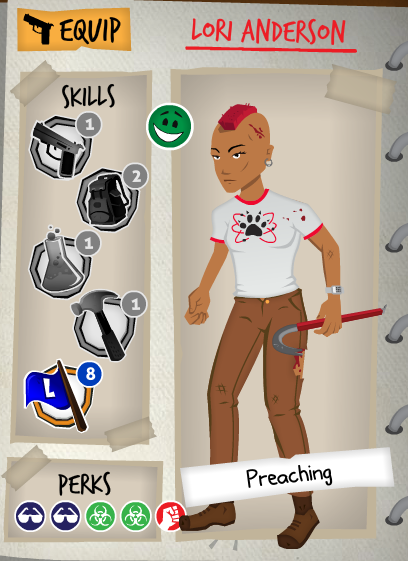 I said I wasn’t going to make a big deal out of it, but here I am tooting the horn: you can now play the Rebuild: Gangs of Deadsville beta on your Android phones and tablets! includes Windows, Mac, Android & Steam keys too. But wait, don’t get TOO excited. It’s still slow, unlikely to run well on anything that costs less than $300 or is more than 2 years old. I’m rather thrilled at how much better it is now than a month ago, but there’s a long way to go. Colin using Rebuild as a stylus… to play Rebuild. In my career of porting PC games to mobile (all 4 years & 4 games of it), the hardest part is always graphics optimization. It’s given me a renewed sense of wonder for games like Assassin’s Creed and the Elder Scrolls (which Colin and I were respectively binging on last month). How do those games look so amazing when I can barely drag 20 flat buildings around the screen without losing 10fps? Obviously engine plays a big part in it, and Adobe AIR (aka Flash) is known more for its ease of use than its speed. But the other big part is, I imagine, the thousands of man-hours spent making sure every last drop of system resources is used optimally. Mostly it’s about CPU vs RAM. Lots of little moving parts need more CPU power. Fewer bigger objects requires more RAM. Hit the ceiling on either and your framerate plummets or your app crashes. 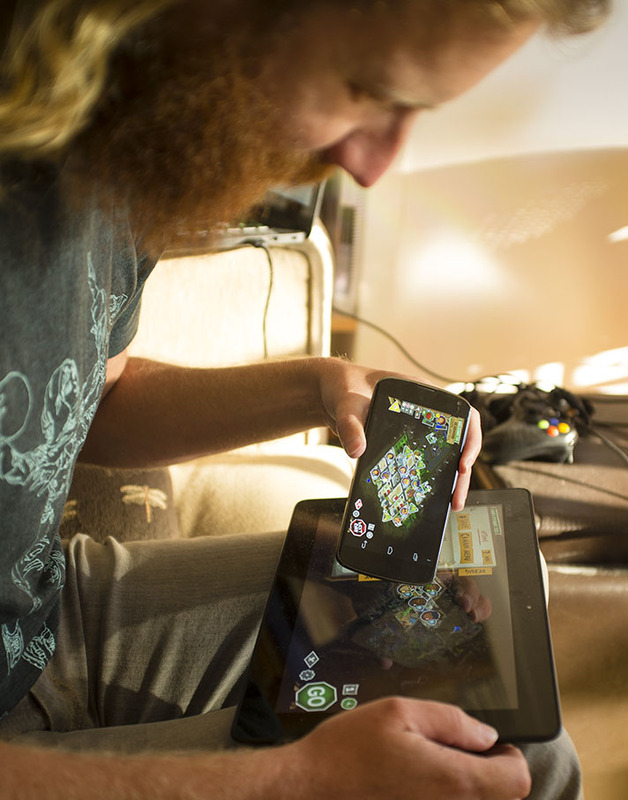 So if you’re wondering which new tablet to buy, MEMORY DOES MATTER. And I mean Random Access Memory, not what people call storage space on iPhones in their Orwellian desire to confuse language and oppress free thinkers. Post apocalyptic religious leaders can have any hairstyle they want. Anyway speaking of binging on games, I’ve been playing a lot of Rebuild this week. Well, I do that every week, but it’s easier now on my phone because I’m less tempted to stop every 5 minutes and tweak some variable. I played a whole game with no scavengers, which was successful thanks to trading with Gustav & the Pharmacists. Even though you have to wait for stock to replenish now, you can horde resources and sell them at a huge profit when a faction is desperate enough to pay double. 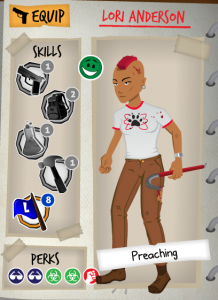 Haggling is less punishing now so I ended up with a leader who was a part-time trader, part-time preacher. For the next big update I’m going to focus on getting the rest of Stephen’s events in, working on the happiness system, and starting campaign mode where you’ll be moving from village to town to city. Colin and I are still exploring Super, Natural British Columbia this summer, which is honestly the most perfect place on earth between about July 10th and September 3rd. Check out our recent roadtrip photos with our rad 80’s Porsche. But to bring this post into a positive zone to finish it off, I really appreciate that you develop games for android devices. In fact, I had played Rebuild quite a lot back in the day when there was just the first Rebuild on Kongregate. And then I forgot about Kongregate for a good amount of time and when I got an android phone that actually worked and could do things, one of the first things I saw in google play was Rebuild and a wave of nostalgia and remembering how much I enjoyed the first game (I hadn’t played the second. It came out during my Kongregate black out period) and it was one of my first mobile game purchases. It’s been a wonderful game to have in my android library of games. Now, the mobile beta for the this Rebuild might finally get me to deal with a Nexus 7 that suddenly was like “Nah, turning on is soooo boring.” a few months after I bought it. And I procrastinate, stupidly, with a warranty that is counting down on a a purchase that was 300+ dollars. So yeah, <3 your games and what I've read about your developmental style and ideals and, really, it just sounds like a pretty awesome way to live. Well, in that it sounds like you two are able to live the way you want to live and do the things you want to do and continue to make a living – not in a "I want to live like that!" way..Just the more abstract being ale to follow your own path and stuff. It's awesome, and with the caliber of games that Northway Games makes (Okay, so I haven't played Fantastic Contraption. BUT, around that period of time, I was playing Puzzle Pirates…That and Spiral Knights are the only games I know Three Rings has made, and I know Spiral Knights was later on, so just based off my probably lack of knowledge of all the projects that Three Rings was involved with/etc, I can only assume Sarah Northway most likely worked on Puzzle Pirates, which if true, I'll just assume every aspect I thought was really neat was a Northway thing. Sorry for the long rambly post. Are you guys still using Starling? I loved your post about how to port an existing project over to it. Also, what IDE/programs do you use to debug on a real device? Waw, that is my tablet from that picture. I’m using an Asus tablet too. You seem to forget GPU : it’s not only about CPU unless you run on the classic display list, in which case performance is entirely tied to CPU power. Especially on mobile, GPU is meant for display and CPU for all the other stuff. You also get typically better battery usage this way. You can get very, very good performance using Stage3D (on par / better than Unity on the 2D side of things). Some people also get great performace using GPU render mode with classic display. Anyway, I love rebuild and wish you the best with the android port ! Have you considered porting your game to Haxe/OpenFL? Haxe is what ActionScript 4.0 would have been, had Adobe not abandoned it. Plus you can compile to multiple targets, including pc, mac, ios devices (iphone, ipad), android(and by proxy OUYA) as well as linux. Best part is you get native performance using a familiar API thanks to OpenFL. I was excited when I heard about this, but it’s kind of disappointing that I bought it directly via Steam and now can’t get the Android beta… will the Steam Early Access buyers ever get access, or will we need to rebuy it? I hope you are using Starling! You definitely shouldn’t be using thousands of man-hours to tweak the performance for a game like this. With Starling, once you get used to the AssetLoader and develop a core library with basic memory management features, you’ll rarely have to worry about micro-tuning performance or memory management. I have my own framework on top of Starling that takes care of all of that worry for me and I probably need spend less than four hours on optimizations to keep my games running at 60fps on devices from 2011.